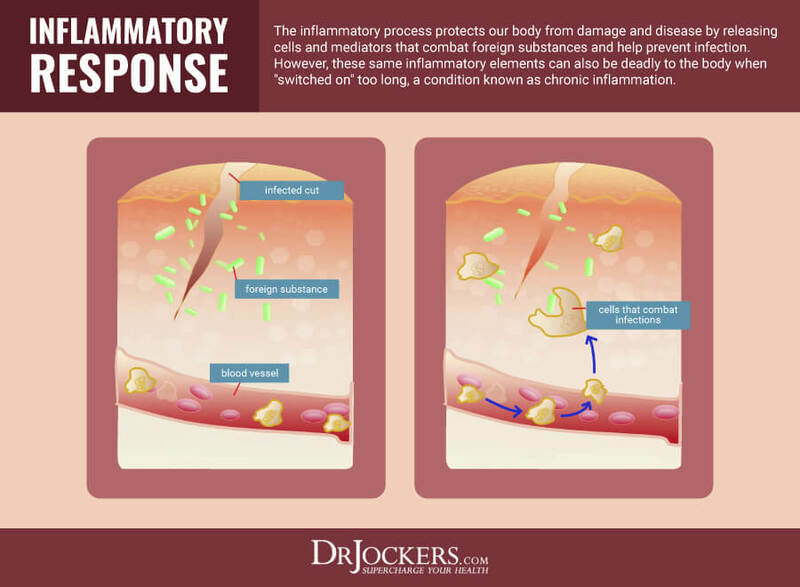 Inflammation is an important part of our immune response. It is the body’s way of healing itself after an injury, repairing damaged tissue, and defending itself against pathogens. In this way, inflammation is beneficial. However, inflammation can also be harmful to your health. Learning what causes inflammation can help you protect yourself. There are two types of inflammation, acute and chronic. Acute inflammation is your body’s natural defense against damaged cells, viruses and other harmful invaders. It starts quickly and helps the body heal itself. Chronic inflammation is systemic, low-grade inflammation that lasts for months or years. It is the common cause of many health issues. In fact, chronic inflammation has been linked to almost every major health condition and disease. This is partly due to an excessive production of free radicals that can be damaging to cells if not controlled. Not just one thing causes inflammation in the body. An inflammatory diet, blood sugar imbalances, and leaky gut syndrome cause chronic inflammation. Sleep loss, chronic stress, environmental toxins, and chronic infections are additional factors that lead to chronic inflammation. It is critical to understand and address these factors to achieve optimal health. Inflammation is the body’s natural defense mechanism. It is your immune system’s response to cellular injury through increased blood flow, capillary dilatation, leucocyte infiltration, and the production of chemical mediators. (1) In essence, it is a perceived threat or injury that causes inflammation. Inflammation is a complex process involving the body’s white blood cells and the chemicals that they produce, such as antibodies and cytokines. These are released into the blood or affected tissues to fight any type of foreign invader. Inflammation protects you from hostile microbes by eliminating toxic agents and repairs damaged tissue. While inflammation can be a necessary and even beneficial to your body, it can also be harmful. Inflammation acts as both “friend and foe” in the body depending on the type of inflammation. (1) The friend is acute inflammation. The foe is chronic, low-grade, systemic inflammation. So what causes inflammation that is harmful? 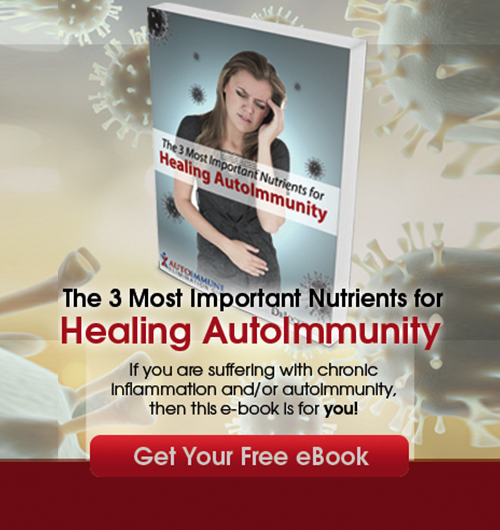 Acute inflammation is a vital component of your immune system. It is your body’s essential survival response to illness or injury. It protects you against damaged cells, viruses, and bacteria. Acute inflammation starts quickly, usually within minutes, and generally disappears within a few days. Possible symptoms of acute inflammation are pain, redness, swelling, heat, and possible loss of function (in severe cases). Low-grade, chronic inflammation is systemic and can last for months or years. This inflammatory state is associated with a wide range of health conditions, including metabolic syndrome, non-alcoholic fatty liver disease, type 2 diabetes, cancer, Alzheimer’s and heart disease. 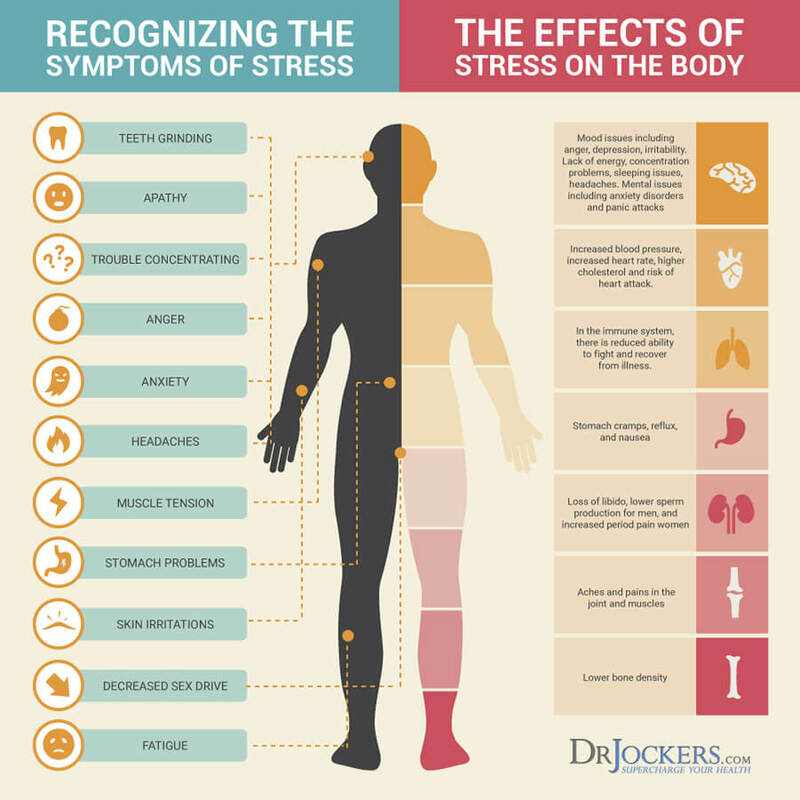 What causes inflammation of this nature are things that place an excessive stress load on the body. This can include physical, emotional, and chemical stress. 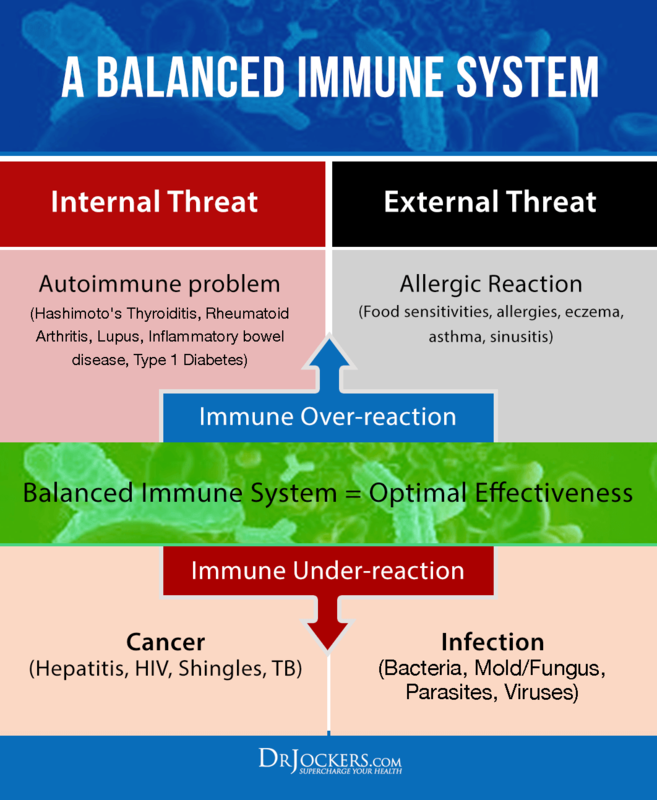 As a result, inflammatory mediators are produced throughout the body and can overwhelm the immune system. The ongoing inflammatory stimulus results in more white blood cell recruitment, increased inflammation, and changes to cells. White blood cells will eventually attack internal organs or other tissues and cells. This inflammatory response continues until the factor that causes inflammation is addressed. Chronic inflammation can be extremely harmful to your health. Research shows that it is an unresolved inflammatory response is likely to be involved from the early stages of disease development (1). Chronic inflammation is the underlying cause of major degenerative diseases including heart disease, diabetes, cancer, and amyotrophic lateral sclerosis (ALS) (2). It is linked to obesity which can cause inflammation. In turn, elevated levels of inflammation can make weight loss more difficult. Inflammation can be reflected on your skin through visible signs of aging such as wrinkles and fine lines. It also contributes to inflammatory conditions like psoriasis, eczema, and acne. Your lungs, kidneys and liver are all affected by chronic inflammation. Inflammation in the lungs causes fluid accumulation and narrowing of the airways. Inflammatory cytokines restrict blood flow to the kidneys and can lead to an enlarged liver or fatty liver disease. Your bones can be affected by chronic inflammation. Inflammatory markers in the blood interrupt bone remodeling, the process of replacing damaged bone with new bone. It can also prevent the absorption of bone-building nutrients. This can result in bone loss and lack of bone growth increasing your risk of fractures and osteoporosis. Pro-inflammatory cytokines cause autoimmune reactions in the brain. This can lead to depression, autism, poor memory and neurological diseases such as Alzheimer’s disease (3). 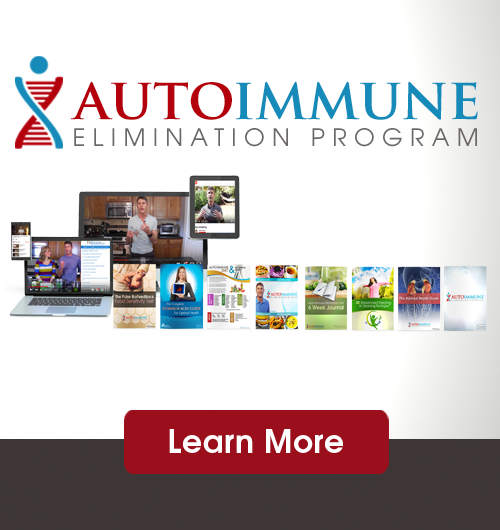 Numerous autoimmune diseases are linked to chronic inflammation. With autoimmune diseases, the body’s immune system triggers an inflammatory response to its own tissues. The body responds as if normal tissues are infected and attacks these tissues. Autoimmune diseases, such as Hashimoto’s thyroiditis and rheumatoid arthritis, develop as a result. 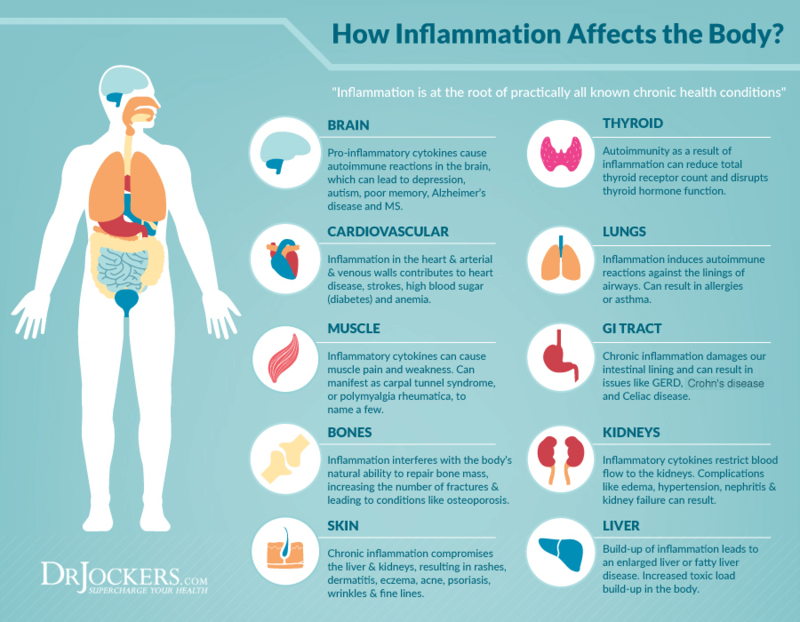 With all of the health conditions and diseases associated with chronic inflammation, it is crucial to understand the factors that cause inflammation. 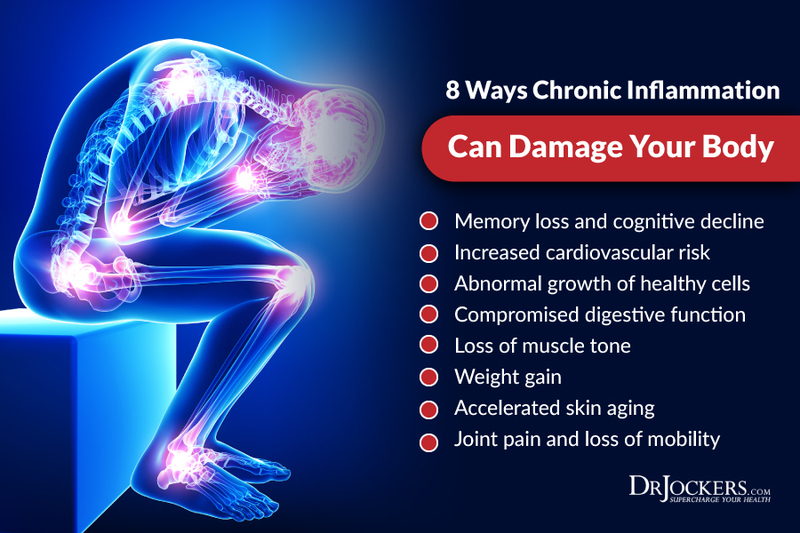 There are seven leading factors that cause inflammation in the body. Many of these factors are related to diet and lifestyle and can be modified. A poor diet causes inflammation through inflammatory ingredients and lack of antioxidants. Certain foods cause inflammation by triggering our immune system. Our immune system reacts to these foods with an excessive production of pro-inflammatory cytokines and a reduced production of anti-inflammatory cytokines (4). Cytokines are proteins secreted by your immune system that act as chemical messengers. They regulate the immune response by facilitating cell to cell communication and stimulating the movement of cells towards sites of infection, trauma, and inflammation. Foods included in the Standard American Diet (SAD) diet are extremely inflammatory. The SAD diet relies heavily on refined sugars and starches, processed foods, and toxic fats such as trans-fats. This inflammatory diet is linked to a higher risk of cardiovascular disease, cancer, diabetes, and many other health conditions (5). 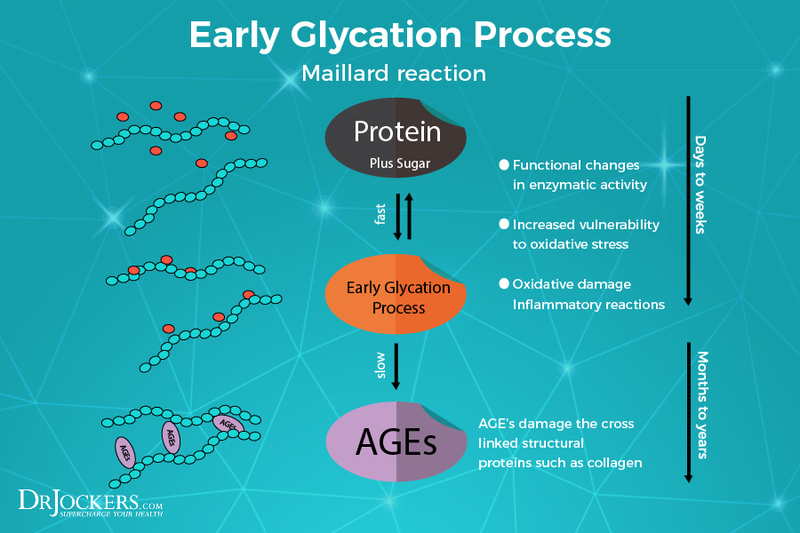 Many of the foods on the SAD diet contain high levels of advanced glycation end products (AGEs), or glycotoxins (6). AGEs are compounds that form within the body, and also exist in foods. These compounds cause inflammation and oxidative stress, damaging tissue throughout the body. The SAD diet also lacks antioxidants and fiber from fruits and vegetables. It does not supply your body with necessary vitamins, minerals and enzymes. 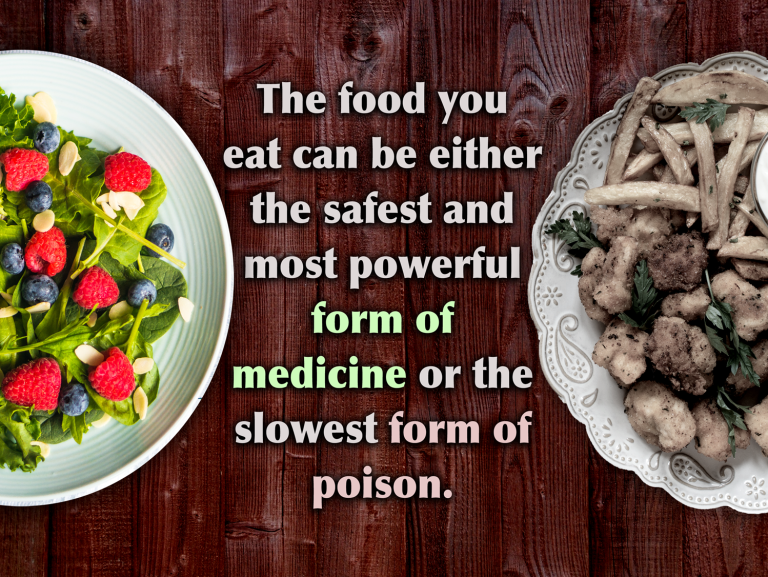 Over time, this approach to diet causes inflammation and leads to chronic disease. These foods upregulate inflammation, and create extra acidity in the tissues. A healing diet removes foods that cause inflammation and includes organic, non-GMO vegetables, fruits, healthy fats and clean protein. Replacing inflammatory foods with these healing foods can reduce inflammation, stabilize blood sugar, reduce toxic load, provide necessary nutrients, and support healthy blood pH levels. Consuming high glycemic foods, such as refined sugars and carbohydrates, causes our blood sugar to rise rapidly. When blood sugar rises, insulin is released from the pancreas to move the sugar from the blood into the cells. This spike in insulin leads to a quick drop in blood sugar and a rise in cortisol. This rapidly fluctuating pattern causes inflammation by producing inflammatory cytokines. Inflammatory cytokines can interfere with insulin signaling, resulting in increased insulin resistance and elevated blood sugar (7). Insulin resistance is the decreased ability to respond to the effects of insulin. Cells rebuff insulin and do not properly metabolize glucose circulating in the blood. As a result, the body produces additional amounts of insulin which will cause inflammation in the body. When your blood sugar is chronically elevated due to poor diet and insulin resistance, this creates AGEs (8). High levels of AGEs damage your tissues by increasing inflammation and promoting oxidative stress. There are numerous chronic health conditions associated with high blood sugar, insulin resistance, and chronic low-grade inflammation. These health conditions include type 2 diabetes, cardiovascular disease, obesity, and high blood pressure. 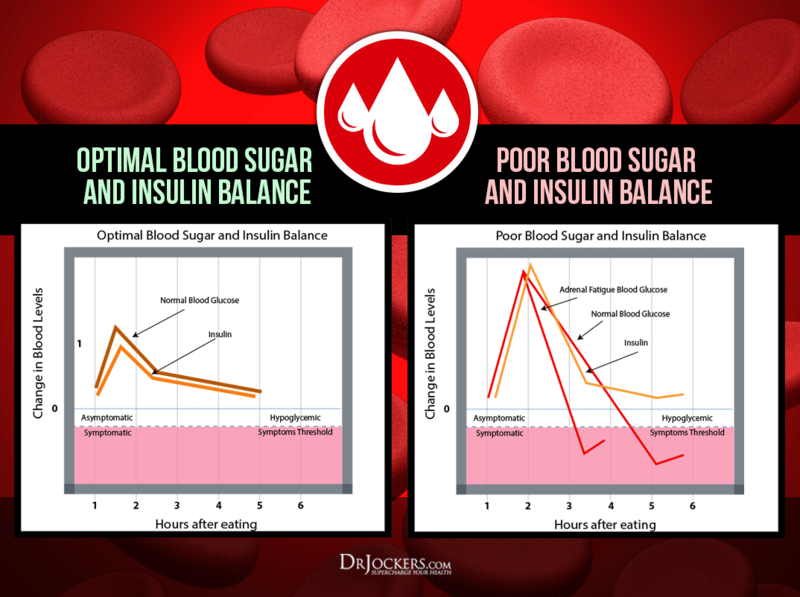 Steps you can take to balance your blood sugar include consuming a healing diet, optimize sleep, boost vitamin D levels, correct thyroid issues, and minimizing stress. For information about blood sugar instability and ways to test your blood sugar, check out this article. The lining of the gut, or intestinal barrier, regulates what molecules pass through to the bloodstream. This lining is only one layer of cells thick with tight junctions to allow only certain things to pass. 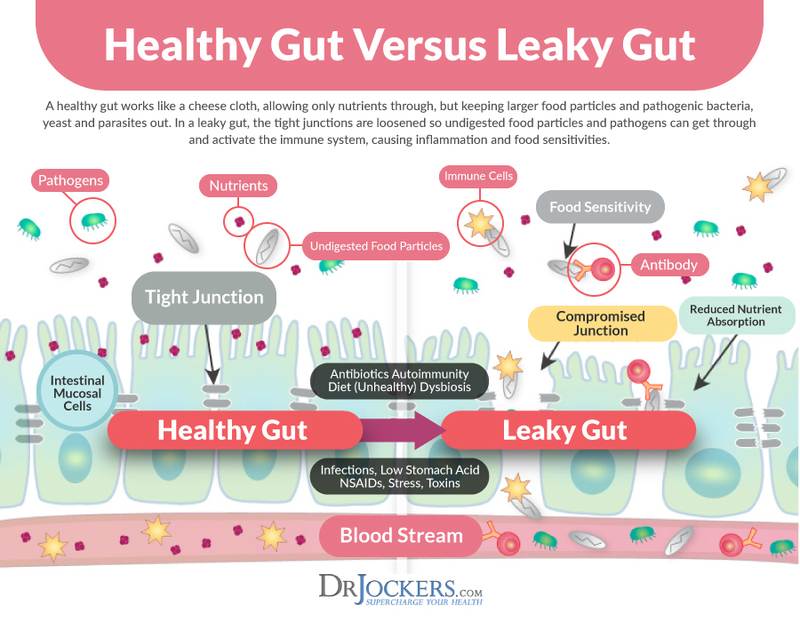 Leaky gut syndrome is a condition in which this cell lining is damaged and loses its ability to regulate what does and does not pass through. This damage is due to many different stressors, often including the consumption of GMO foods, pesticides, chlorinated water, antibiotics, and processed foods. As a result, the tight junctions become loose and larger, undigested food molecules can enter the bloodstream. When the body encounters these undigested food particles, it mounts an attack, mistaking them for foreign pathogens. This causes inflammation and leads to food allergies, autoimmunity, and reduced nutrient absorption. People with leaky gut often experience digestive issues such as gas, bloating, indigestion, and constipation. There are numerous strategies you can incorporate to heal leaky gut naturally. These strategies include intermittent fasting, liquid nutrition, and targeted supplementation. For more information on using fasting and liquid nutrition to heal leaky gut and effective supplements, read this article. Chronic stress causes inflammation by modulating key inflammatory pathways (9). These pathways include oxidative stress, sympathetic activity, transcription factor nuclear factor kappa B (NF-kB), and pro-inflammatory cytokine production. Stress also induces behaviors that may lead to more inflammation such as poor eating habits, alcohol, lack of exercise, and poor sleep habits. Pro-inflammatory cytokines produced in response to chronic stress damage neurological tissues and can cause profound changes in behavior (10). Depression and overlapping diseases have been linked to these pro-inflammatory cytokines. The inflammation caused by chronic emotional and mental stress also affects the digestive system. Stress activates the “fight or flight” response in the central nervous system which can slow down or even stop the digestive process as the body diverts its energy to face the perceived threat. Chronic stress has been linked to numerous digestive disorders, including irritable bowel syndrome (IBS) (11). Following the healing diet and balancing your blood sugar levels are two effective strategies for reducing stress on the body. Other powerful techniques are grounding, deep breathing exercises, sunlight exposure, Epsom salt baths, and dry brushing. Practice these stress reduction strategies dailyto reduce stress and lower inflammation in the body. Poor sleep habits are known to cause inflammation. Numerous studies on the effects of sleep loss have shown that mediators of inflammation are altered by sleep loss. Sleep loss induces a systemic, low-grade inflammation characterized by the release of several molecules, including cytokines and acute-phase proteins (12). Sleep deficiencies cause blood sugar imbalances and increased cortisol secretion which cause more inflammation as discussed above. They are linked to numerous health conditions, including high blood pressure, diabetes, and obesity. Getting ideal amounts of sleep reduces inflammation and restores the brain by flushing out toxins (13). One of these toxins is a toxic protein called beta-amyloid that accumulates in the brains of patients with Alzheimer’s disease. Sleep also allows the neurological system to upregulate appropriate neurotransmitters and rebuild myelin sheaths that protect and insulate nerve fibers. Magnesium is an important micronutrient that plans a critical role in stress and sleep. Supplementing with magnesium, such as Brain Calm Magnesium, may help the brain signal the body for sleep. Other strategies for better sleep are getting sunlight during the day, avoiding artificial light, blacking out your room with blackout curtains, using a sleep mask, and forming healthy sleep habits. We live in a very toxic world. Environmental toxins (or xenobiotics) are found in the food we eat, the air we breathe, the products we use, and the water we drink. Personal care products, household cleaners, medications, heavy metals, smoke, and mold exposure are all environmental toxins. Long-term exposure to these environmental toxins causes inflammation throughout the body by producing inflammatory mediators. Repeated exposure to these toxins overwhelms our immune systems as the ongoing stimulus results in more cell recruitment, increased inflammation, and changes to cells. Unfortunately, it is impossible to avoid environmental toxins. Of the over 85,000 industrial chemicals available for use today, the Environmental Protection Agency (EPA) has mandated safety testing for only a small percentage. Our bodies have a natural detoxification system. However, it simply cannot keep up with this toxic burden. Therefore, it is important to cleanse your body by using detoxification strategies I discuss in this article. These strategies include eating an anti-inflammatory diet, super hydrating, regular exercise, intermittent fasting, juicing greens, infrared sauna, essential oils and oil pulling. You can also incorporate supplements that aid the body in cleansing toxins such as Super Glutathione, Activated Charcoal, and BioToxin Binder. Chronic infections result from a variety of pathogens such as bacteria, viruses, parasites, and fungi (14). They are either persistent or latent infections with a host. Pathogens escape from our immune system by modulating, or regulating, our immune response. This causes inflammation that can persist if the infection goes unresolved. The most common chronic infections are caused by viruses including hepatitis, herpes, and the Epstein-Barr virus. Examples of chronic bacterial infections are urinary tract infections (UTIs) and bladder infections. Candida is the most common type of fungal infection. In addition, our GI MAP stool analysis is a great test to uncover any possible hidden infections you may have. There are 5 top tests for detecting and measuring the level of inflammation in your body. These tests are Fasting Insulin, Hemoglobin A1c, C-Reactive Protein, Serum Ferritin, and Red Blood Cell Width. You can learn more about these tests here. The Complete Thyroid Panel is a comprehensive blood test that includes the top five tests for inflammation. It also includes a Complete Blood Count, Complete Metabolic Panel, Urinalysis, Lipid Panel, and Thyroid Panel. The Complete Thyroid Panel tests immune function, thyroid function, blood sugar regulation, liver function, nutritional deficiencies and much more. I encourage you to run the Complete Thyroid regularly to as a preventative measure and to monitor inflammation in the body. Information about the Complete Thyroid Report can be found here. The top supplements to reduce inflammation include things that work to shut down inflammatory gene pathways such as COX-2, Nf-Kb and TNF-a. These include things like purified fish oil that is high in EPA and DHA, high dose curcumin and compounds that support glutathione production. 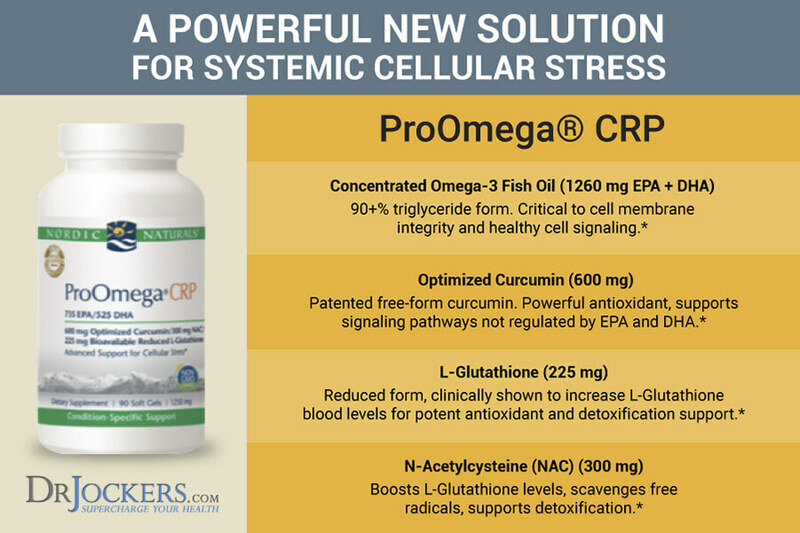 My top supplement for inflammation support include our Pro Omega CRP, which is a combination of EPA and DHA as well as curcumin and glutathione. Other top anti-inflammatory supplements include Super Glutathione and our Fermented Turmeric. Try out one of these, or if you are struggling with chronic inflammation, using all 3 together can really help give your body a jump start on health by down regulating these inflammatory pathways. Pro Omega CRP: Take 2-3 caps – 2x daily with food. Inflammation can be beneficial or harmful to our bodies. Acute inflammation is your body’s way of healing itself after an injury, repairing damaged tissue, and defending itself against pathogens. It starts quickly and only lasts a short time. Chronic inflammation can last for months or years. It is systemic, low-grade inflammation that is the underlying cause of most, if not all, major health conditions. There are 7 top factors are what causes inflammation in the body. An inflammatory diet, blood sugar imbalances, leaky gut syndrome, chronic stress, poor sleep habits, environmental toxins, and chronic infections are factors that lead to chronic inflammation. 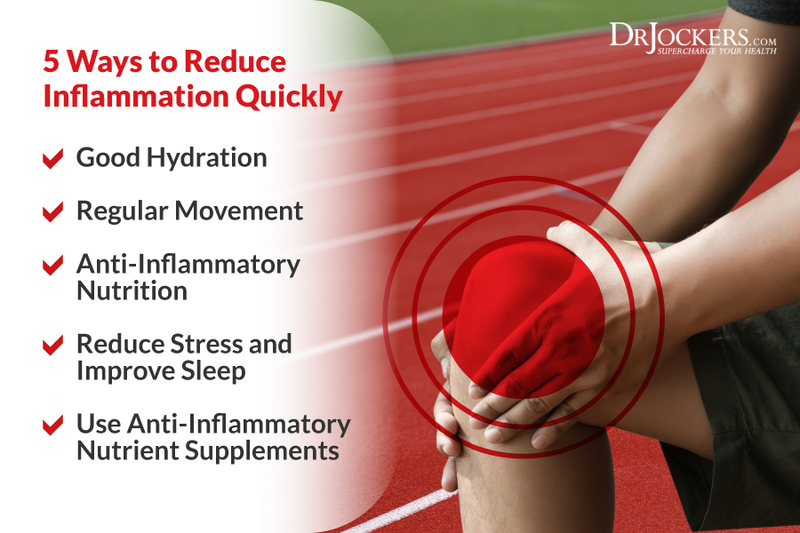 It is critical to understand and address these factors so that you can reduce or eliminate the levels of inflammation in your body. There are several blood tests that measure inflammation in your body. Testing your levels of inflammation is important for preventing and monitoring inflammation. To get my top tips on reducing inflammation quickly read this article. I have been following a keto diet since reading Grain Brain by David Perlmutter, MD. That was in 2014. Starting last September I started developing a skin rash, red bumps. I consulted two dermatologists who prescribed antihistamines and topical creams. All of this year I’ve experienced much worse red skin inflammation on my face, i.e., under my eyes and around my eyelids, on my chin and cheeks. I am 61. I got a series of blood tests: low sodium, low protein, high BUN. high albumin, low Vitamin D, high lymphocytes. Third doc is a functional medicine doc. She has no idea. The worst health I’ve experienced has been on this diet. The goal was to prevent Alzheimer’s. Dr. I am still waiting for your response in respect of my complain. (Writers Dystonic Tremor) shaking of my hand while writing. Thanks a lot. Why are canned tomatoes one of the worst things to eat? I have never heard that before. Hey Tana, they are very acidic and leech the chemical-laden can lining. Jarred would be much better or BPA free canned. If fact they might be quite good if handled well? I believe tomatoes have an alkaline effect when metabolised. I am still just unsure about them, as there was a general rule to avoid members of the “deadly nightshade” family when one has inflammation. So they are OK in BPA free cans? Potentially a better option Cindi! I have been diagnosed with the RA factor and osteoarthritis… thyroid levels are a bit high. My doctors want me on thyroid meds, and RA meds.. not methotrexate. I have joint pian in one knee, and osteoarthritis doctor says I need a knee replacement but hold off with gel and cortisone shots. I am 59 and when I don’t have that shot I have chronic pain in my left wrist and left thumb, knee etc. I have inflammation obviously.. and I alternate between extra strength Tylenol and Advil. I do not smoke or drink. I am overweight. I try to lose but exercising is too painful at times. I also have Sjögren’s syndrome. I am discouraged with pain, right now I am not working and some days I don’t see how I can. One doctor won’t give anything stronger than tylenol, one says they can’t help talk to the RA doctor and the RA doctor tried me on methotrexate and took me off cold turkey because I had what seemed to be cysts in my stomach with bloating. Meanwhile the pain is unbearable at times and I don’t know where to turn for help. 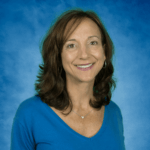 Your article was great made sense… where do I start? There are definitely more things that would need to be addressed for long-term benefits!